No parent or child is perfect…and that is OK! We had a wonderful weekend celebrating the marriage of my daughter’s childhood friend. I always cherish having all four of my children at home at the same time! As Monday morning arrives, and college and budding careers claim my children again, I find my thoughts in the familiar place of focusing on my hopes and dreams for my children. I so desperately want them to be adults who are filled with integrity, who are happy, and successful. Many times I have gotten caught up in the idea that my children need to be perfect in order to achieve that in life. The fact is, they are not perfect…and neither am I. Perfection is simply impossible. I have learned that my children are not good at everything, they each have their unique strengths and yes, weaknesses. There have been many times that they have made me burst with pride (this weekend!) and other times that I have been very disappointed in them. However, my disappointment should not be based on their lack of perfection, because not one of us is perfect. One of the biggest mistakes a parent can make is trying to “make” their children be perfect by orchestrating their life so they think they are perfect. That is just simply not reality. I think in recent years, perfection has started to become the new minimal standard for children. This results in parents trying to orchestrate their children’s lives so that there is near perfection…no challenges, no disappointments and certainly no consequences for mistakes; because often we don’t want to believe our children can make them. This results in young adults that are devastated when the reality of their imperfection in an imperfect world hits. The wonderful thing about imperfection is that mistakes result in learning. 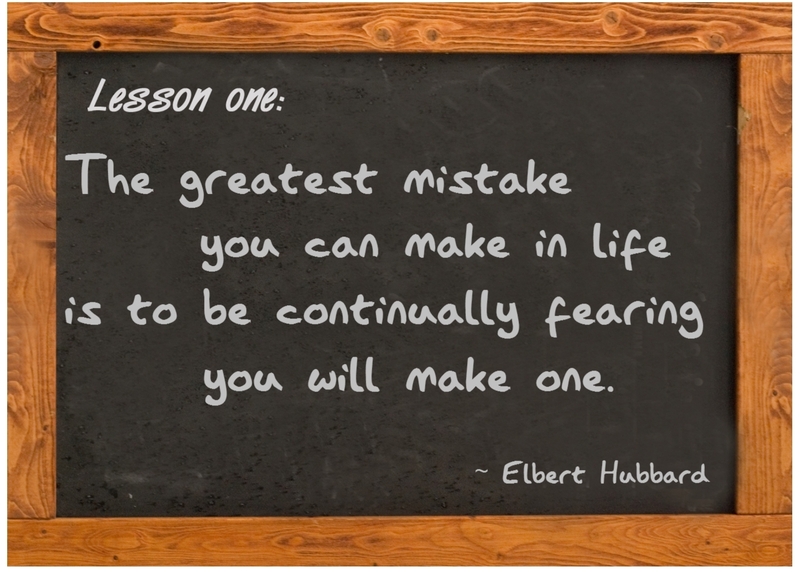 We all can think of major life lessons that were the result of some pretty big mistakes. Children learn volumes from their mistakes, and we as parents must never “micromanage” our children and orchestrate their life so they never experience those mistakes and disappointments. Even with constant micromanagement…your child will eventually make a mistake and he must know how to use that mistake for growth and realize your love does not depend on his perfection. The key to a child learning from mistakes and disappointment is the knowledge that he is unconditionally loved by Mom and Dad. Loving your child completely, with no reservation is an absolute parenting must. This unconditional love will help your child become a confident adult who realizes that love is not based on how successful or perfect he or she is; but that love is just a given. Unconditional love does not result in parenting that does not include consequences for mistakes, that is actually a part of that unconditional love. Your child will learn that your love is not based on his perfection, but he is loved mistakes and all. Most mistakes result in some type of consequence, sometimes a natural consequence, sometimes a parent driven one…but allowing those consequences is actually a part of that perfect unconditional love of a parent. Your child will understand that you still love him completely…mistakes, consequences and all. So as this Monday begins, remember that your child cannot be perfect…just as you can’t be. But if we give our children that perfect love, that unconditional love, then those imperfections or mistakes don’t have to be prevented or micromanaged. Those imperfections can be embraced so that lessons can be learned, integrity can be built, confidence can develop, and your child’s true character will emerge. As parents we must trust that providing a false sense of perfection only results in greater disappointments in the future. So push your children out that door knowing that there will be moments of great pride in them and moments of disappointment, but remember by simply loving your children through it all you will help them become their best, imperfections and all. I enjoyed my “pretty perfect” kids this weekend…and all four are headed back out ready to tackle the world this morning…and they each know that I love them completely, forever and always. ← Play is important child’s work!